It’s take off for Rotary in London’s latest fundraising venture. London’s Air Ambulance is hitting the streets of the capital in an educational ‘Helivan’ thanks to the support of Rotary members in the city. Rotary members in London raised more than £38,000 to purchase the vehicle for London Air Ambulance, which provides an advanced trauma team for the 10 million people who live and work in London. Helen Antoniou and Trevor Johnson, members of the Norwick Park and Epping Rotary Clubs, championed the project, which has successfully delivered the vehicle to London’s Air Ambulance in less than a year. The Helivan will be used to transport kit and equipment to educational talks and community events in London, and replicates some of the interior of London’s Air Ambulance helicopters. This vehicle will be used to engage communities with the life-saving service and works the charity does, and inspire children to pursue Science, Technology, Engineering and Mathematics (STEM) careers. Rotary’s support for London’s Air Ambulance and the Helivan included a three year service plan for the Helivan, as well as a medical equipment, iPad with Wi-Fi and cellular access, facilitating the use of the ‘Helimed’ app and life-size cardboard cut outs of emergency service personnel. London’s Air Ambulance is the charity that delivers a 24/7 advanced trauma team to London’s most critically injured. It treats on average five critically injured people in London each day, performing medical interventions at the roadside which are normally only found in a hospital emergency department. The service costs £8.7million per year, the majority of which has to be found through fundraising. 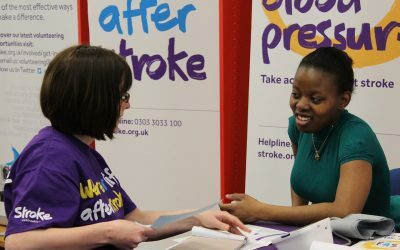 High blood pressure is a contributing factor in around half of the strokes in Great Britain and Ireland. Rotary clubs are hosting blood pressure testing events up and down the country once again to prevent the risk. Liver disease is growing at an alarming rate in the UK, and there is an increasing need for early diagnosis. 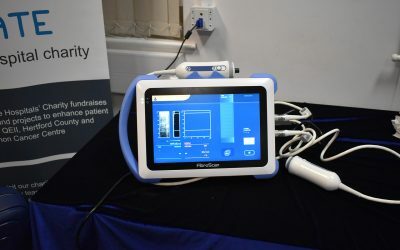 Rotary has helped to fund a life-saving fibroscan at a hospital in Hertfordshire. 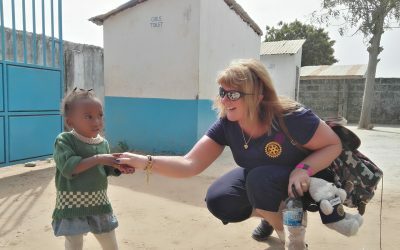 A twinning partnership between Wirral-based Royden Revolve Rotary and a club in The Gambia is paying dividends.